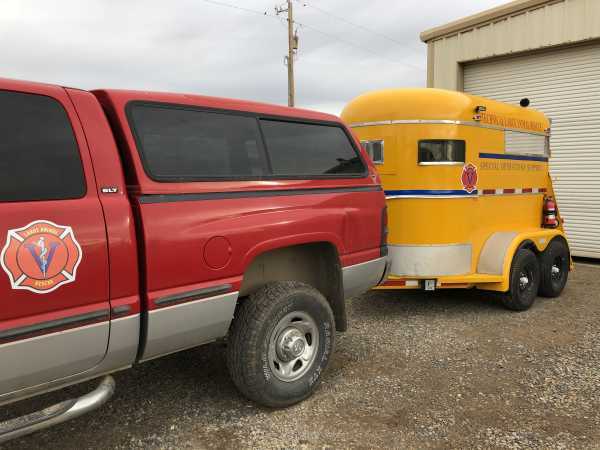 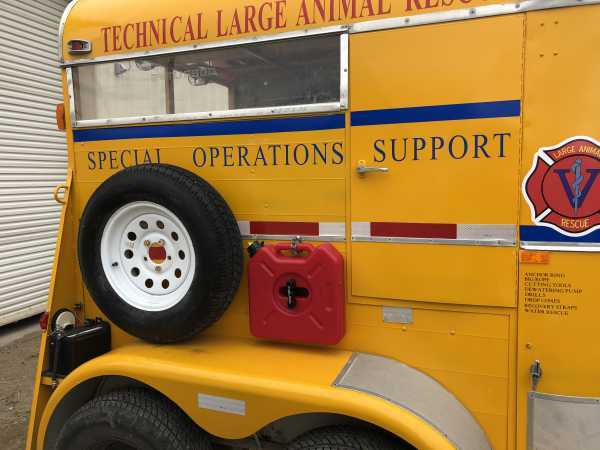 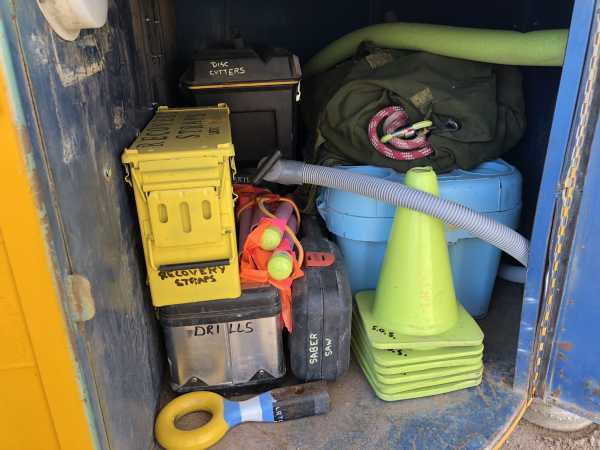 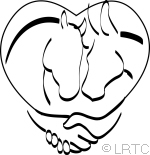 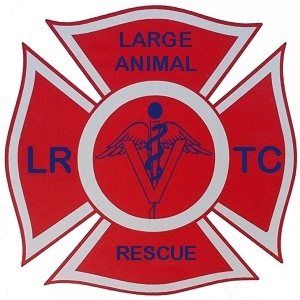 The Special Operations Support trailer (often simply referred to as the "SOS") responds as the second-out unit to technical large animal rescues and wide-area evacuation operations. 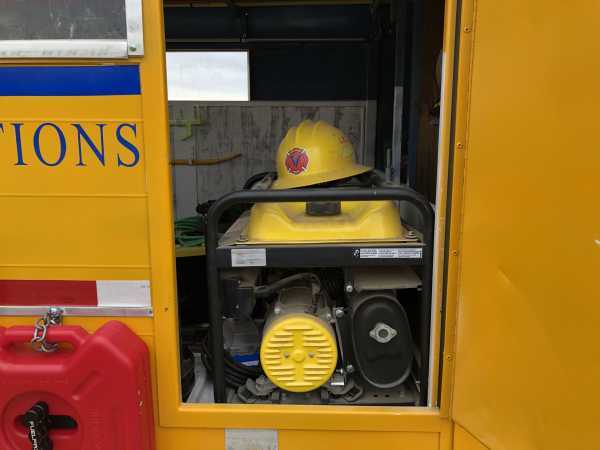 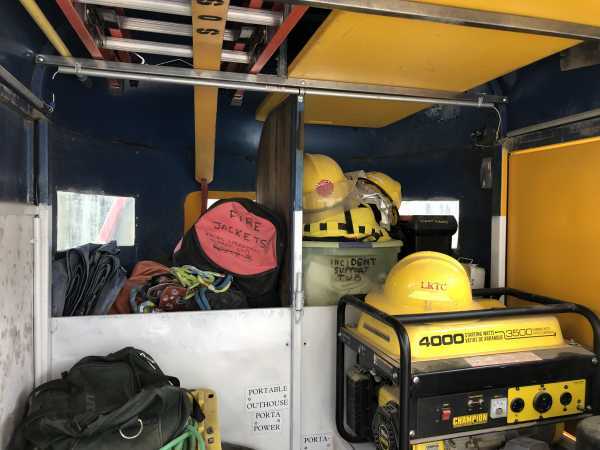 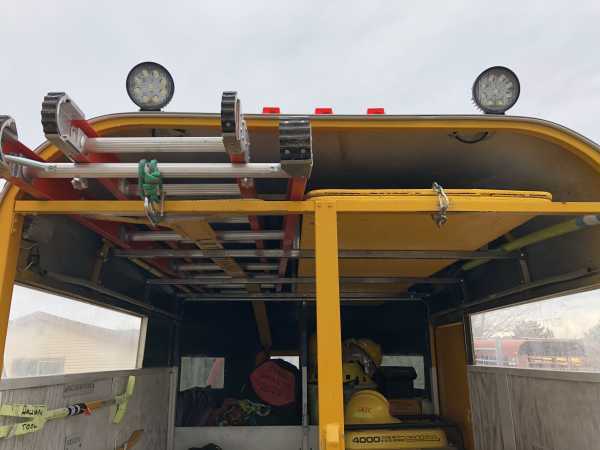 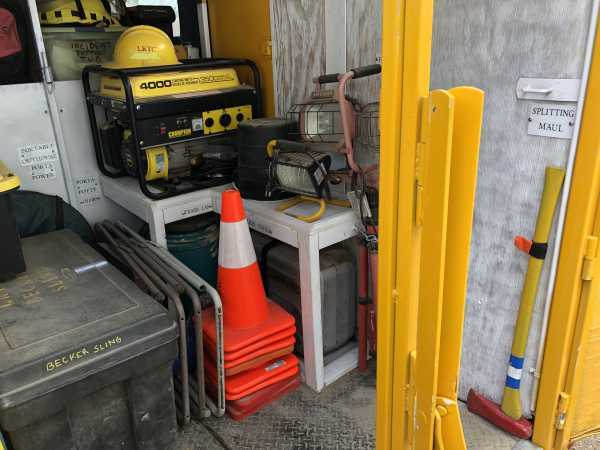 It carries the heavy technical rescue equipment including cutting tools, ram, hydraulic jaws, etc., a large compliment of rope rescue equipment, generator and portable lighting and related equipment, and it also carries supplies to support an evacuation operation, staging area, etc. 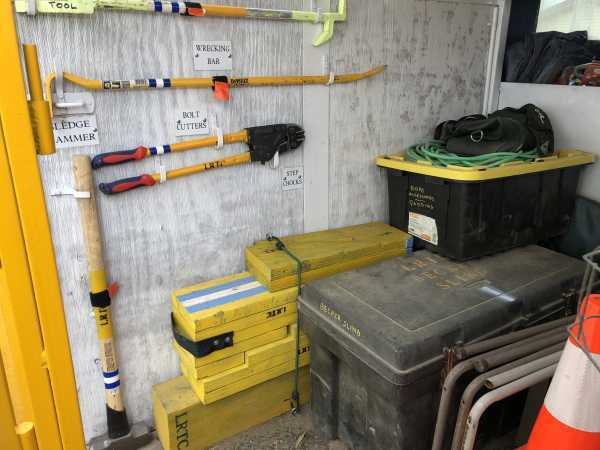 Overhead rack: Boat hook, combination ladder, steel strap guide, ground pads, heavy digging bar. 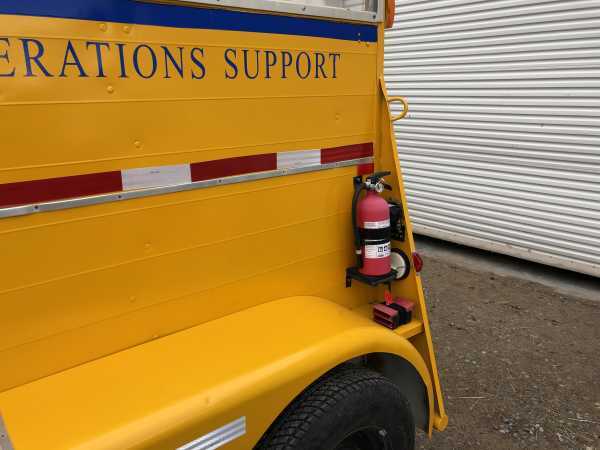 Fire extinguisher and collapsible tire chocks. 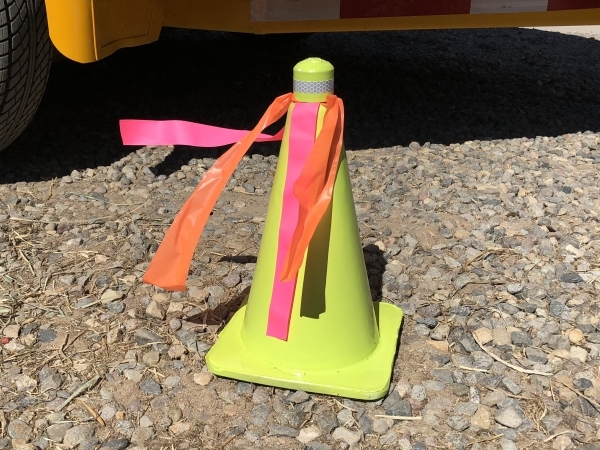 Driveway "drop cones" with ribbons distinctive from those used by the fire district. 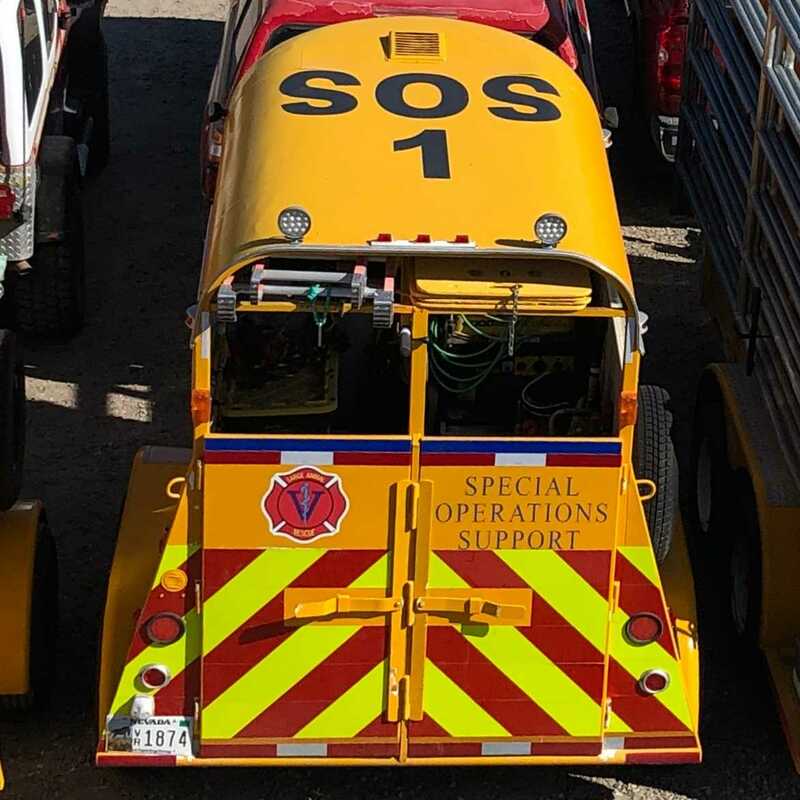 Please note: Several pieces of equipment now carried on the SOS unit were originally carried on Rescue 3. 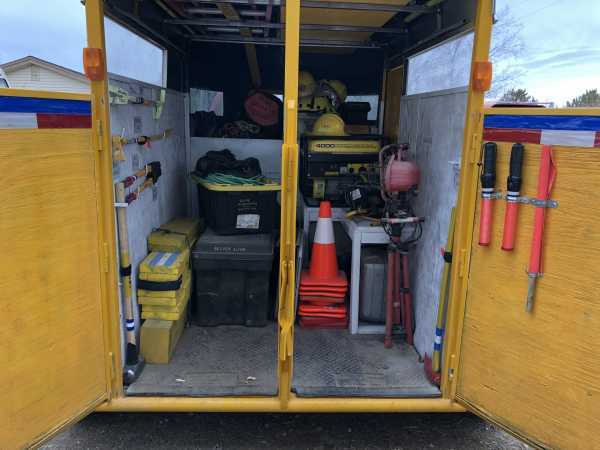 This gear was relocated to the SOS unit to lighten Rescue 3 and render it more user friendly. 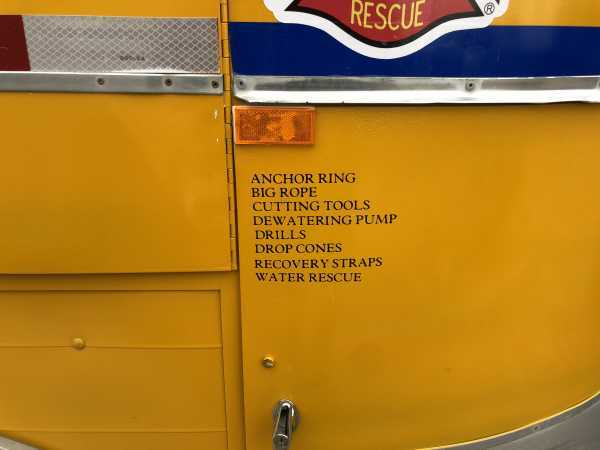 Please see the Revised Rescue 3 Inventory for the current compliment of rescue gear on that first out resource.